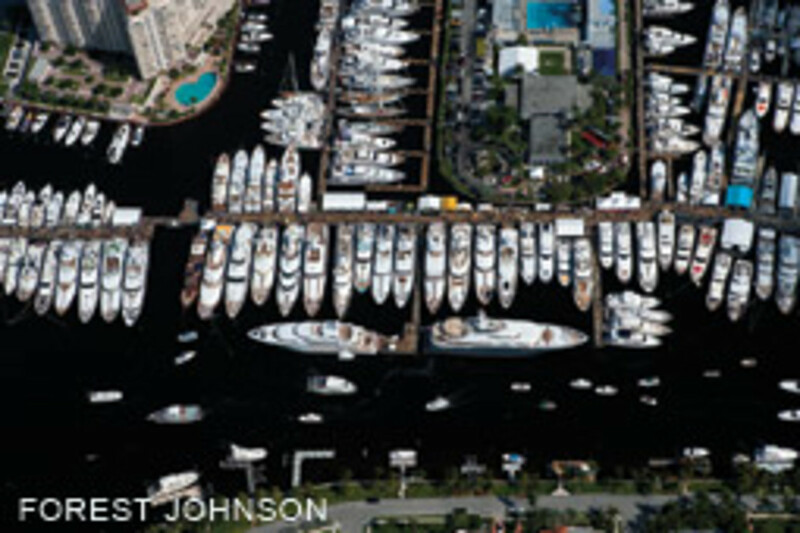 The Fort Lauderdale International Boat Show is a feast for the senses, a nautical extravaganza unlike any other. Here’s a sampling of boats that’ll be part of the festivities. It’s boating’s Super Bowl. The grand affair. 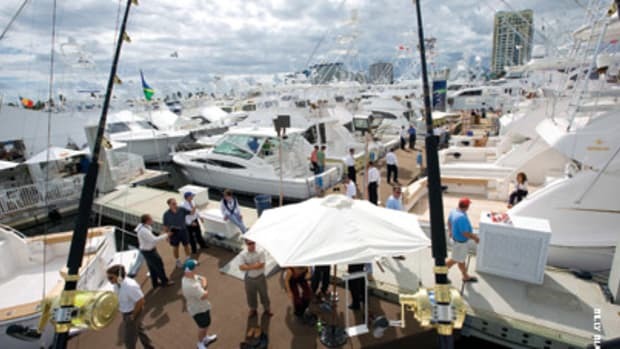 The Fort Lauderdale International Boat Show stands out as one of the biggest marine events in North America, presenting a wide range of boats, from 10-foot dinghies to 200-foot superyachts. If you’re passionate about boats — and perhaps in the market for a new one — this is the show to attend. Though the boats are the stars of this five-day show (Oct. 31-Nov. 4), you’ll also find the latest in navigation and communication electronics, mechanical systems, propulsion technology, fishing equipment and safety gear, as well as a host of seminars and other attractions. With so much to see and do, where does one begin? We’ve put together a short list of 15 boats to check out — some must-sees from 25 to 80 feet, though we did include a 151-footer from Vicem Yachts. No trip to the Lauderdale show would be complete without checking out the megayachts. Let’s start with some of the well-known names. 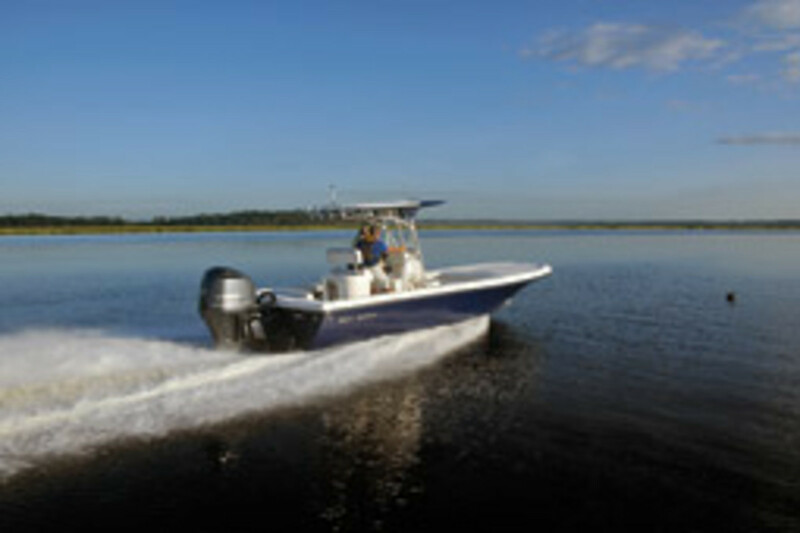 Boston Whaler, Grand Banks, Tiara and Viking have new boats on display. 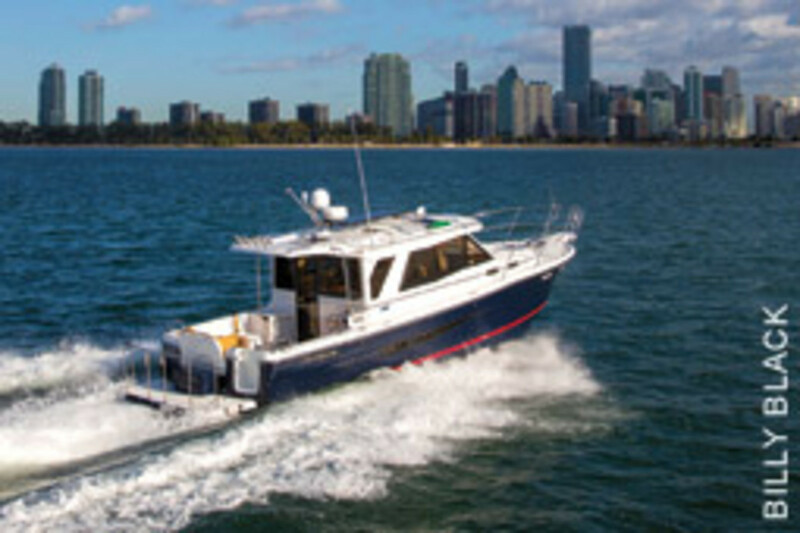 We’ve also included the new 37-footer from Back Cove Yachts, as well as an innovative fishing and cruising boat from Florida builder SeaVee. With the show’s international flair, we threw in models from such builders as Monte Carlo and Magellano (Italy) and Vicem (Turkey). 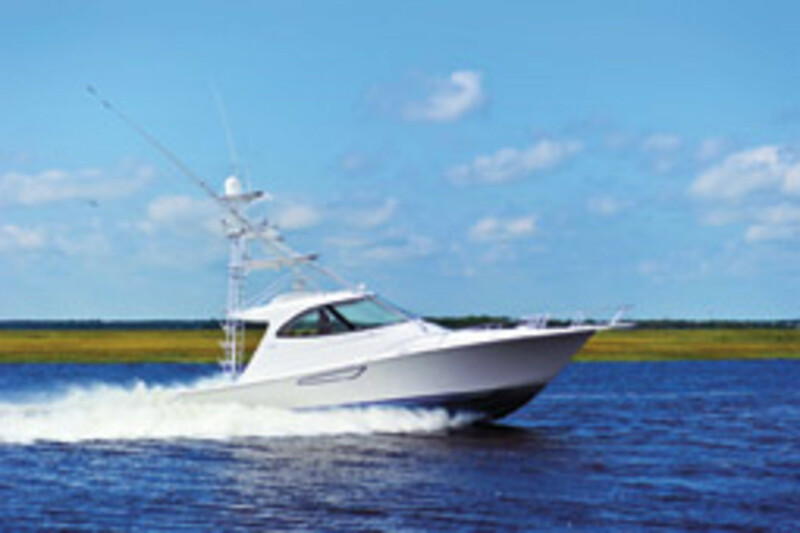 The fleet carries out a multitude of missions — fishing, coastal cruising, day cruising, water sports, long-distance passagemaking. Many of today’s boats must multitask, says George Hetzel, vice president of sales and marketing of S2 Yachts, parent company of Tiara and Pursuit. 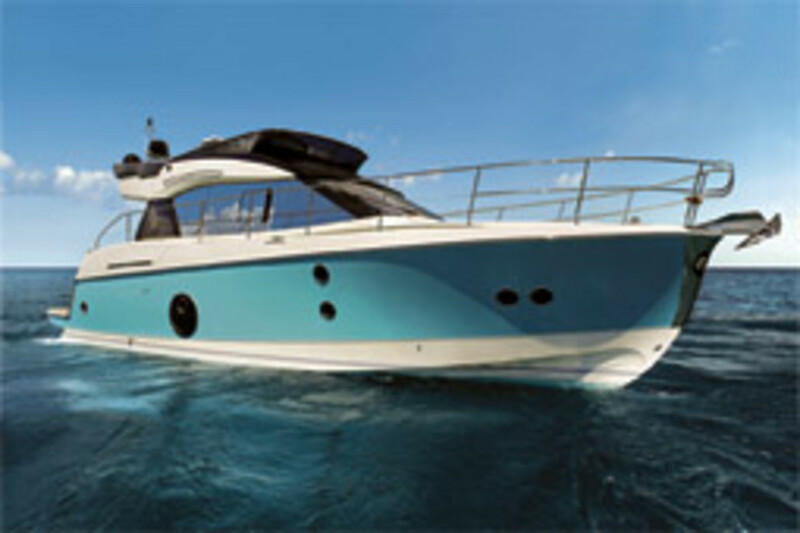 Tiara will show its new 50 Coupe, a pod-driven sport yacht and the first in a “new generation” of Tiaras. Regulator also is ushering in a new generation. 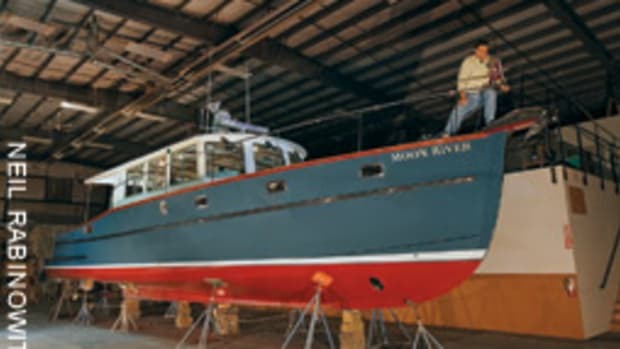 The builder has retired its venerable 26-foot center console after more than 20 years, replacing it with a 25-footer that’s less expensive than its predecessor. Here’s a closer look at our fleet. 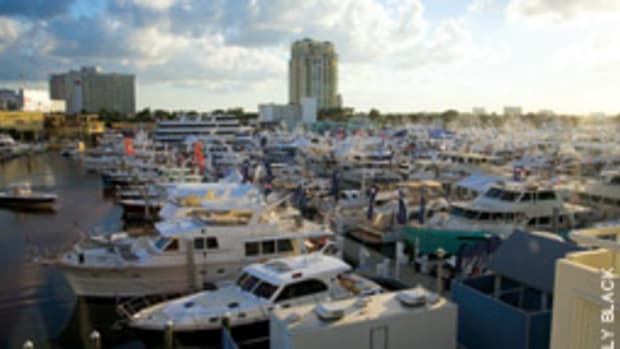 And before you hit the docks to board these boats in Fort Lauderdale, be sure to download the free MyBoatShow app at www.showmanagement.com. It’s an invaluable tool for navigating the show’s six venues and 3 million square feet of space. Company owners Joan and Owen Maxwell built 15,525 Regulator 26s since its introduction in 1991, so this new boat has some big shoes to fill. 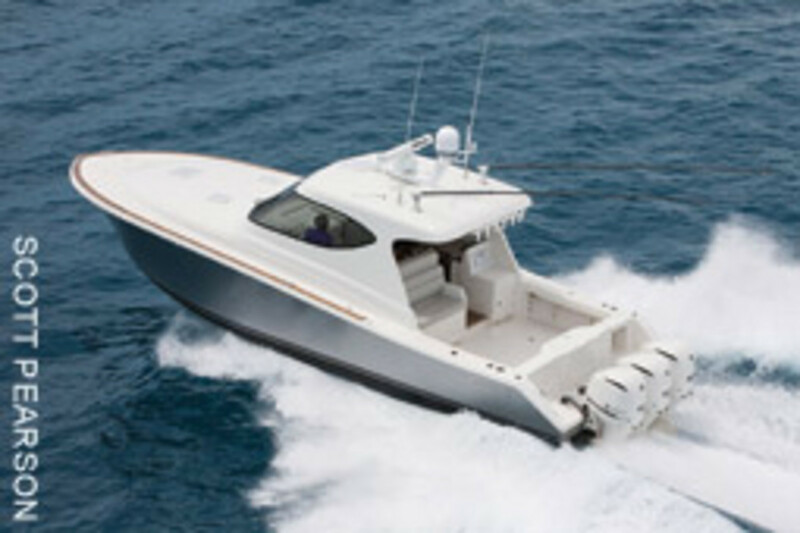 The 25 has a flush deck, unlike the 26, and is 4 inches beamier than its predecessor. Lou Codega has designed all of the Regulator models. 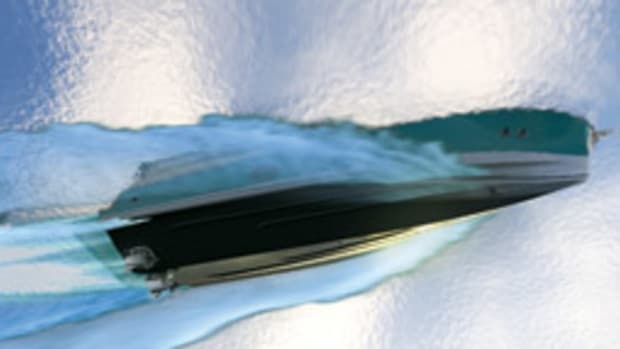 The Sea Born FX25 functions well for inshore and offshore use, says Wally Bell, president of Composite Research, which owns the Sea Born, Sundance and Spyder brands. 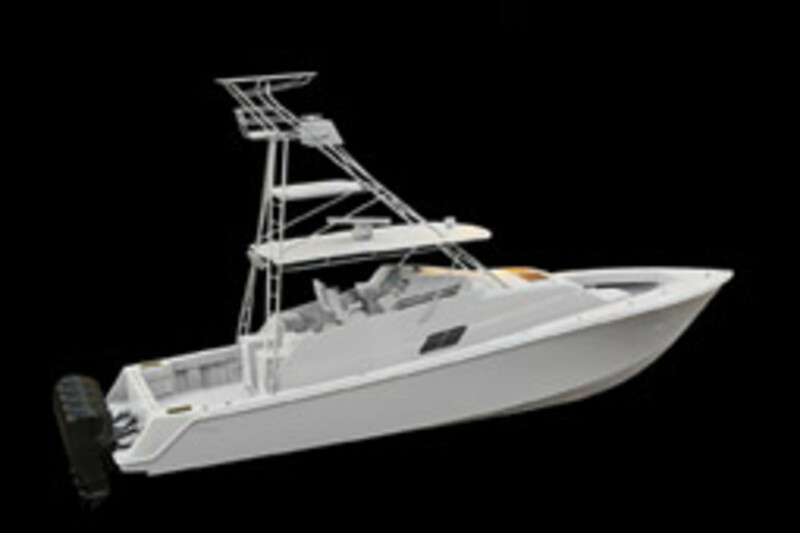 Offshore anglers will appreciate the roomy cockpit and inshore fishermen will make use of the forward casting platform. The sea chest, with centerline strainer, stores raw water to feed the live well and other pumps, erasing the need for multiple through-hulls. 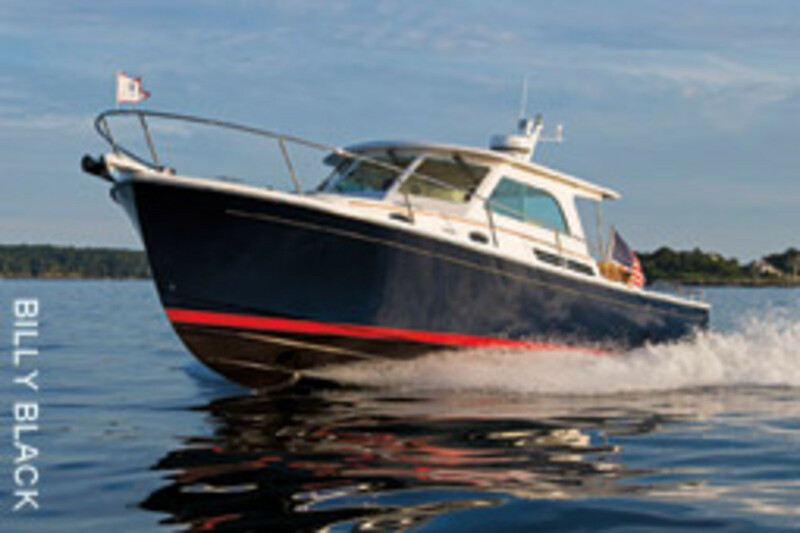 The Cutwater 30 excels as a multiseason cruising and fishing boat with its enclosed deckhouse. In warm weather, there are ample seating opportunities, thanks to some creative thinking by the Monroe, Wash., builder. 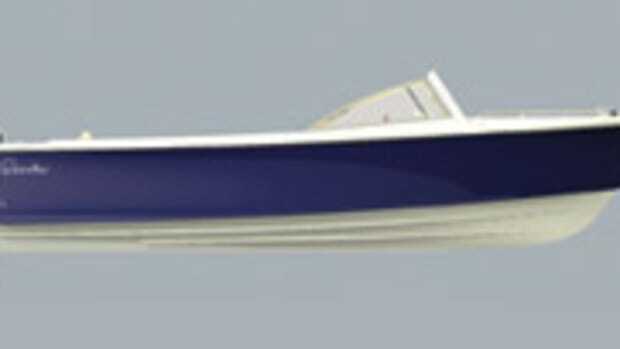 Starboard and port two-person seats in the cockpit fold outboard to save deck real estate, and the two-person transom seat can face forward or aft. 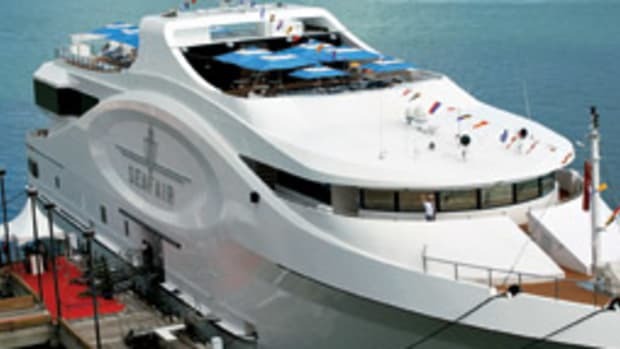 There is also seating at the bow, with two flush hatches that hide cushioned seats. 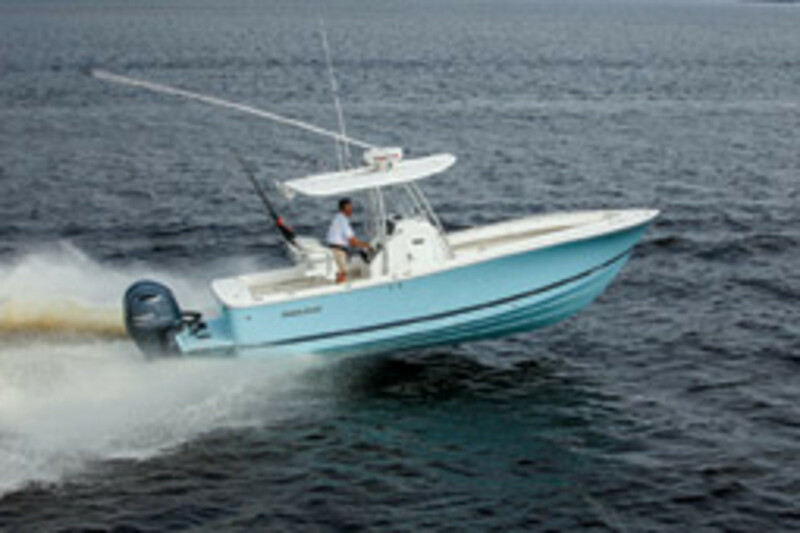 Boston Whaler offers Mercury power exclusively, and the 350 Outrage comes standard with triple 250-hp Verados, with triple 300-hp Verados offered as an option. 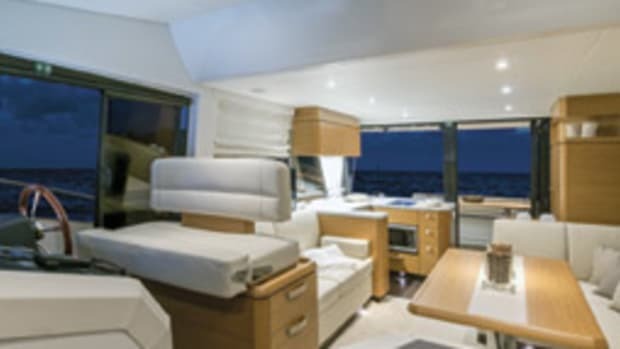 The fish-cruise boat has a large cockpit and “summer kitchen” that includes a solid surface countertop, freshwater sink, drink holders, a cutting board and a grill. 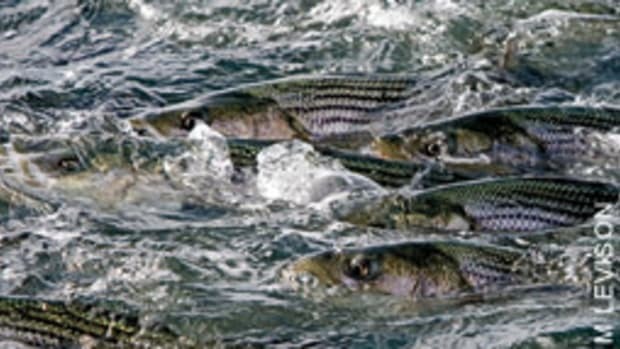 When you’re not fishing, stow the rods and pick up the spatula. 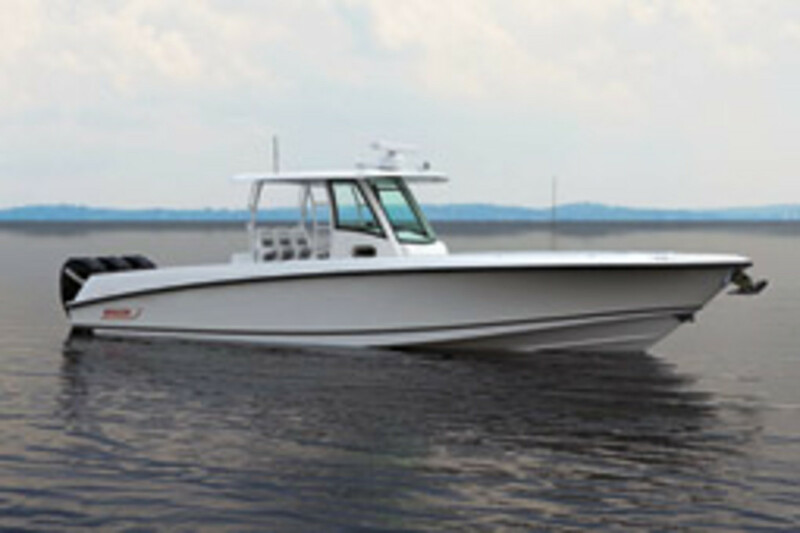 “The 350 Outrage really takes all of the features that make the Outrage successful and fills the void between the 32 and the 37,” says Lenn Scholtz, vice president of product development and engineering. 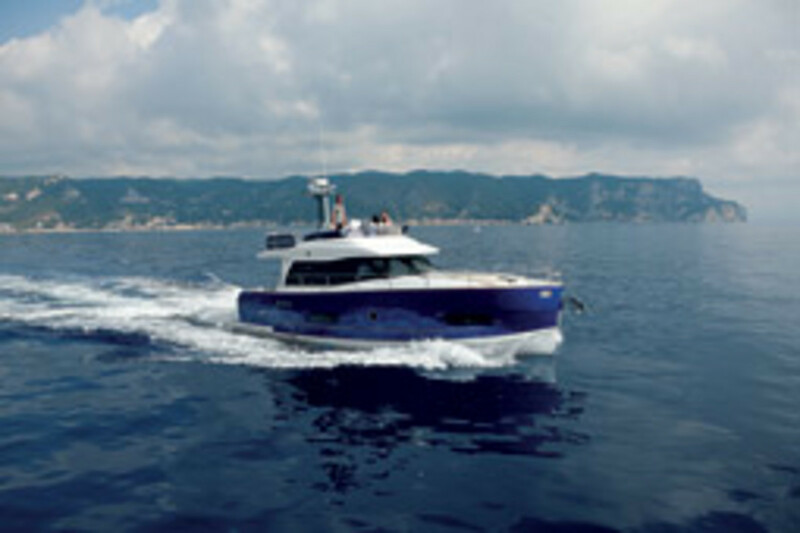 Italian builder Azimut has added another trawler to its Magellano line. 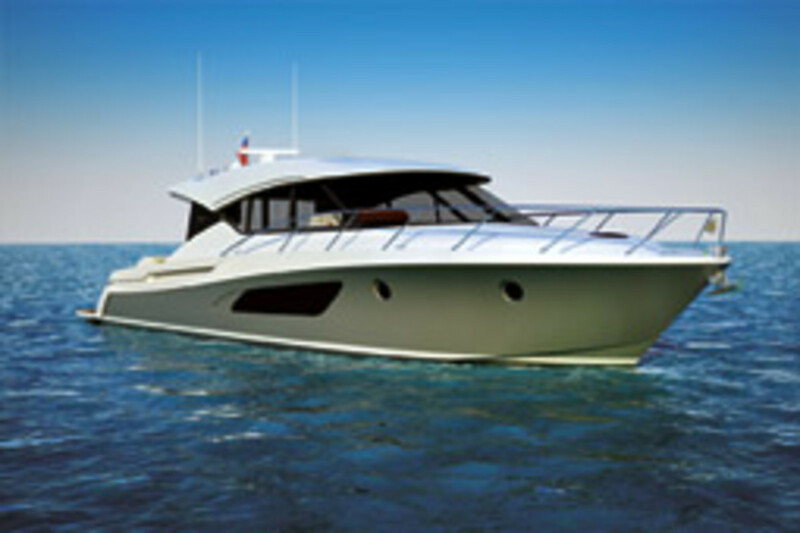 The Magellano 43 combines trawler performance and Italian design. Powered by twin Cummins 355-hp QSB5.9 diesels, she has a range of 316 nautical miles at about 15 knots. Fuel supply is 433 gallons. 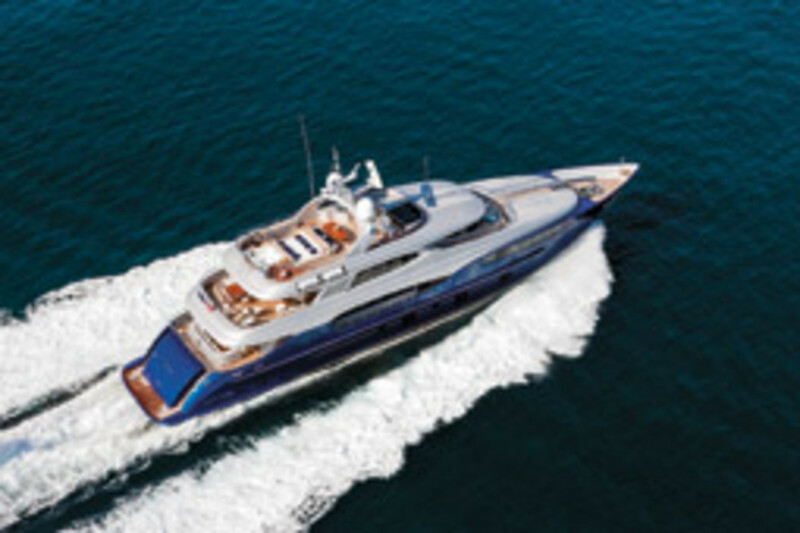 At a displacement speed of 10.6 knots, her range is 665 nautical miles. Waterline length is 42 feet, 11 inches; beam is 14 feet, 5 inches; and she draws nearly 4 feet. Tinted windows surround the saloon and helm areas. 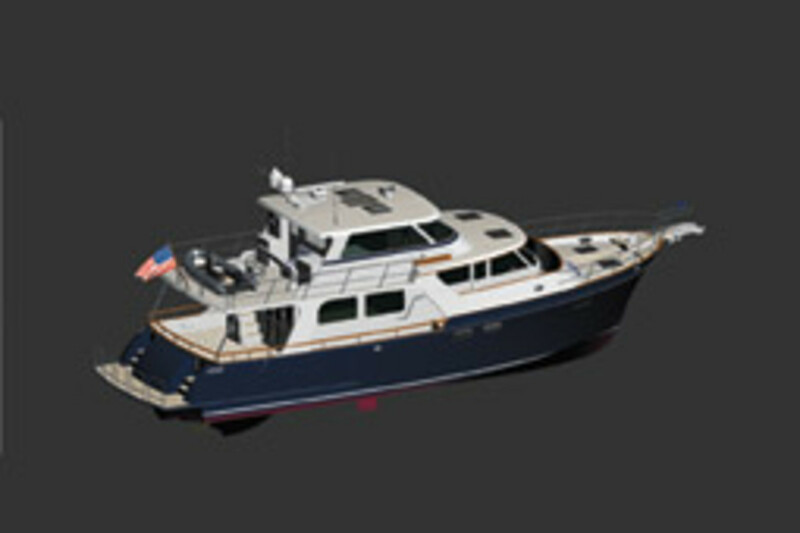 With its plumb bow, round port lights and aerodynamic deckhouse, the 50-foot Monte Carlo MC5 likely will grab your eye — and beckon you to board for a closer look. But she deserves some attention below the waterline, too. 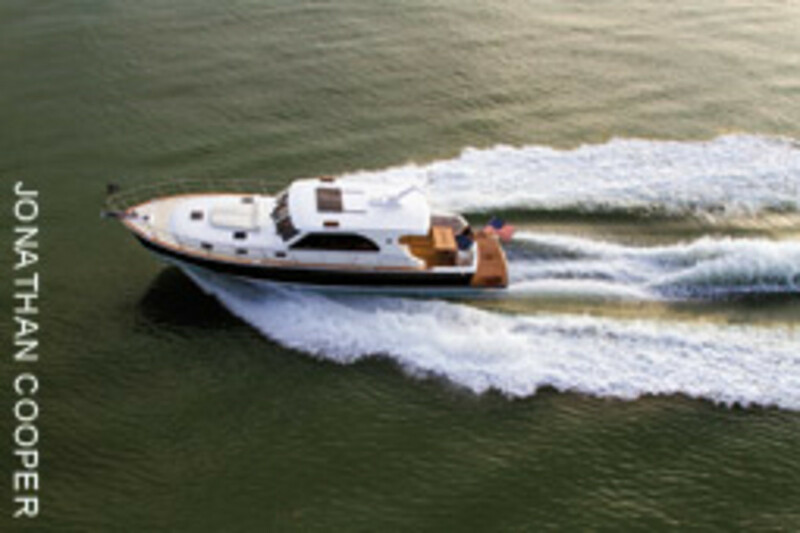 The MC5 rides Beneteau’s AirStep hull — Monte Carlo is part of the Beneteau Group — which “creates a cushion of bubbles in contact with the surface area of the aft step,” reducing drag, preventing squatting and allowing for faster acceleration and a gain in fuel efficiency, says co-designer Patrick Tableau.